You'll be £8.50 closer to your next £10.00 credit when you purchase Total Destruction of the Tamil Tigers. What's this? 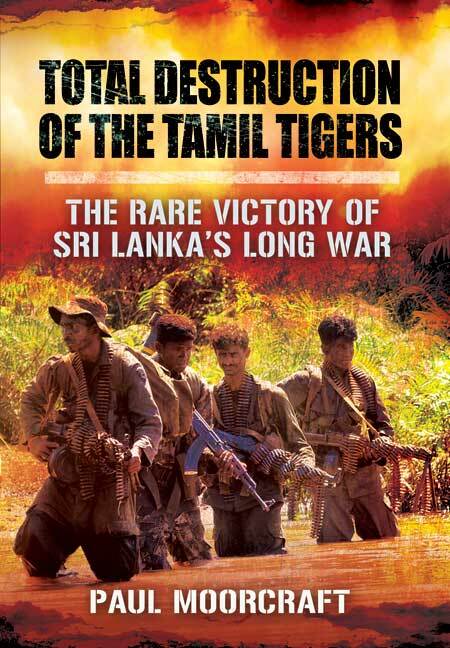 In 2009 the Sri Lankan government forces literally eradicated the Tamil Tiger insurgency after 26 years of civil war. This was the first time that a government had defeated an indigenous insurgency by force of arms. It was as if the British army killed thousands of IRA cadres to end the war in Northern Ireland. The story of this war is fascinating in itself, besides the international repercussions for 'terrorism' and insurgency worldwide. Many countries involved themselves in the war – to arm the combatants (China, Pakistan, India, North Korea) or to bring peace (US, France, UK, Norway). While researching this work Professor Moorcraft was given unprecedented access to Sri Lankan politicians (including the President and his brother, the Defence Permanent Secretary), senior generals, intelligence chiefs, civil servants, UN officials, foreign diplomats and NGOs. He also interviewed the surviving leader of the Tamil Tigers. His conclusions and findings will be controversial. He reveals how the media and foreign mediators were frustrated by the authorities determined to stamp out Tamil Tiger resistance by whatever means. Their methods, which have led to accusations of war crimes, were brutally effective but are likely to remain highly contentions for years to come. Student of counterinsurgency campaigns? Add this splendid study to your library. I loved it. A very enlightening book...provides many lessons for the professional military officer and amateur enthusiast alike..excellent book...both engaging and entertaining... I thoroughly enjoyed this book and highly recommend it to those seeking to expand their knowledge of operations in the Far East. Highly readable ...an important contribution to our understanding of the conflict. A gripping authoritative and closely researched account. A remarkable book...The first by a Westerner...presents a fair overall view, in contrast to some local publications [in Sri Lanka]. This work is short but contains a wealth of information and detail... With objective circumspection Moorcraft reports, rarely adding his personal opinion. Thorough examination of an important issue.